Running a business is hard work, isn’t it? With so much competition, getting your product the limelight it deserves and capturing the attention of your target audience can be even harder. Which is why thousands of businesses around the world have turned to content marketing over the last few years, trying to get closer to their audiences and build loyal tribes that not only buy from them but also generate positive word of mouth. According to Smart Insights, marketers across Europe and the U.S. consider content marketing to be the most effective online marketing strategy. But if it’s that good, why isn’t it working for your business? Based on our experience, you’re probably making one or more of the following mistakes. If you think content marketing is a synonym for blogging, you’re not alone. 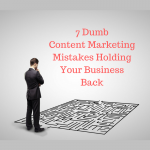 Far too many people wrongly believe blogging to be the only thing content marketers do. Content marketing is an integrated marketing strategy that aims to build a loyal following for your business online by creating and distributing useful, well-researched and highly actionable content that solves the problems of your audience and helps them move forward in their business. It involves multiple content types and distribution channels. Not understanding this key concept results in unrealistic expectations from content marketing. It’s a long game that requires patience and persistence. But when you do it right, it results in a strong community that trusts your advice and willingly opens its wallet to you. Sporadically publishing blog posts on random topics or occasionally engaging with your social media followers isn’t content marketing. Content marketing is about building trust, and that can’t be done unless you have a consistent, well-defined and documented content marketing plan. Everything from your article topics and publishing frequency to keyword research and outreach campaigns needs to be planned in advance. 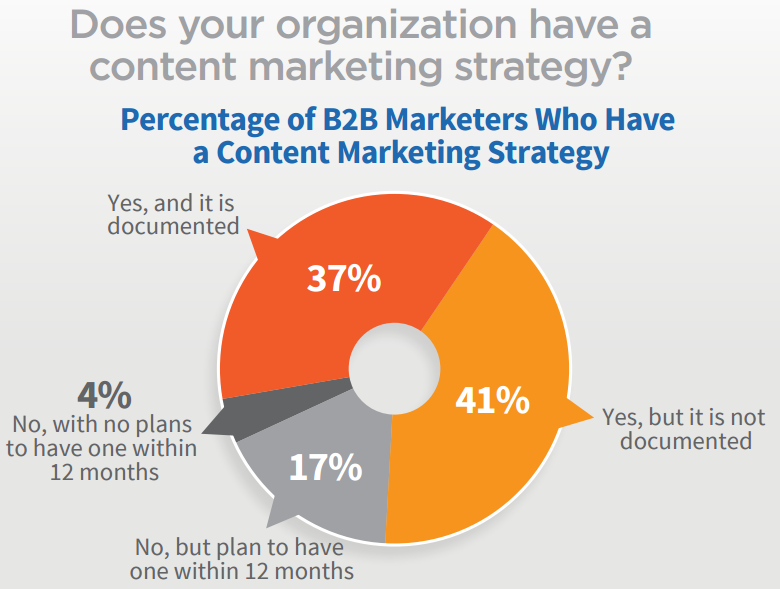 According to Content Marketing Institute, most organizations still do not have a documented content marketing strategy. A strategy document acts as a reference point and keeps you on track. For example, Neil Patel, a leading content marketing influencer, creates annual editorial calendars for his blogs and breaks them down into quarterly, monthly and weekly plans. This allows him to plan way ahead and create content on a regular basis. What’s the biggest problem their business is facing that you can solve? How much money are they willing to spend on solving that problem? 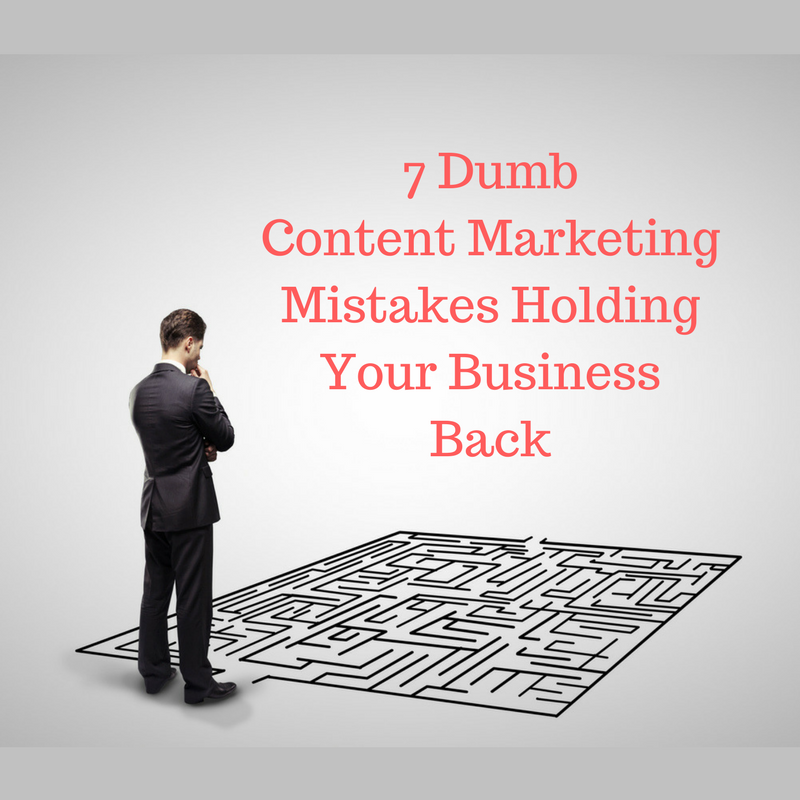 Not writing for a clearly defined audience is one of the biggest and most common content marketing mistakes. When you create content for everyone, it appeals to no one. Successful marketers know this, which is why they spend countless hours building and refining their buyer personas. A buyer persona is a sample profile of your ideal customer. It helps you create laser-focused content that gives your readers exactly what they’re looking for. 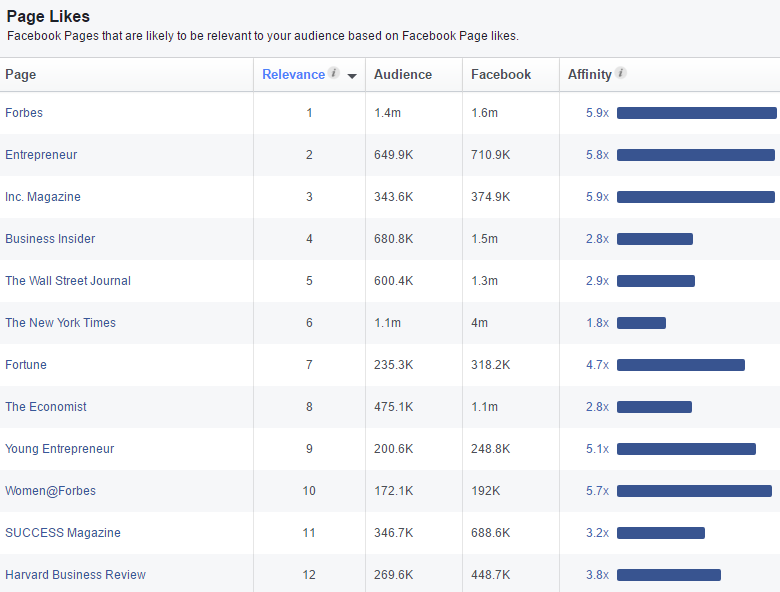 Facebook is a great place to start your audience research. 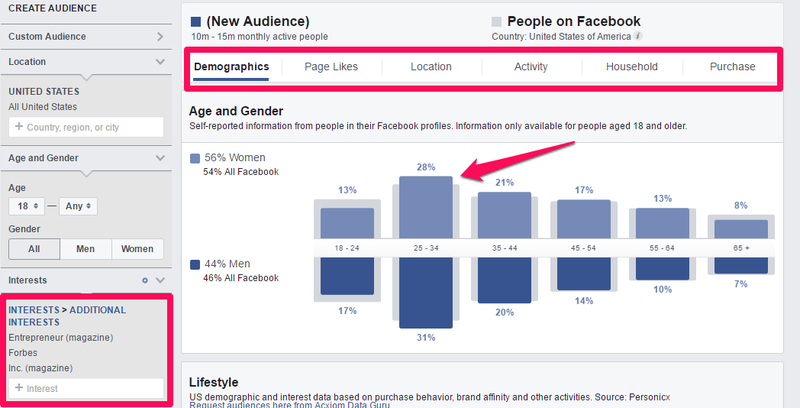 Simply head over to the Ads Manager in Facebook, click on “Audience Insights” and create a new audience. If you don’t know anything about your target audience, use the “Interests” field to enter the names of your three closest competitors or a few industry leaders you wish to emulate. For this example, we entered Entrepreneur Magazine, Inc. Magazine and Forbes in the Interests list. Facebook, from its database of millions of users, shows you exactly what kind of people follow these interests. Each of these tabs reveals fascinating insights on your audience. 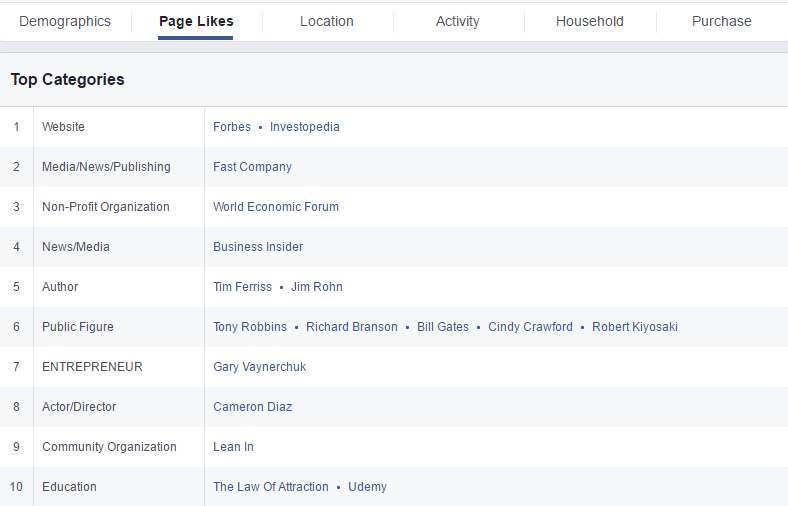 For example, if you go to the “Page Likes” tab, you’ll see the list of the Facebook Pages most of your audience follows. You can explore each of these pages to study the kind of content they’re creating for their readers. You can also use the comments on these pages and publications to better understand the needs of your audience. Structure the information you gather with this useful Buyer Persona template. One of the core objectives of content marketing is to create in-depth content that not only helps your readers take action but also establishes you as an expert. When your audience considers you an authority, they take your advice seriously and willingly buy from you. Thin content, which barely scratches the surface of a topic and doesn’t share any actionable advice, does exactly the opposite. It hurts your brand image, makes you look like an imposter rather than an expert, and turns buyers away. Panda, one of Google’s major search algorithm updates, specifically targets and devalues any sites with thin or shallow content. So how do you avoid getting penalized in search results for publishing thin content? 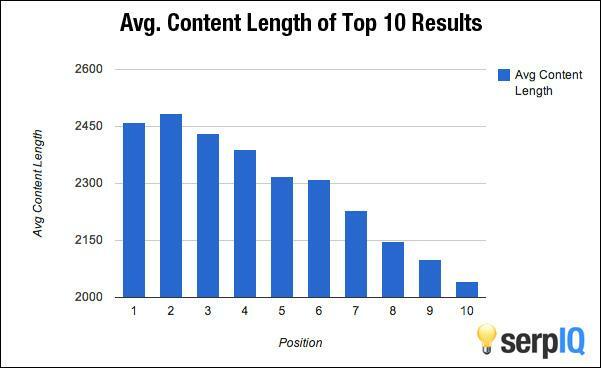 Back in 2012, serpIQ studied the search results for over 20,000 keywords and concluded that longer and more in-depth content generally tends to rank higher. Several recent studies still seem to agree with that conclusion. This is one of the reasons why investing in high-quality content is not just an option anymore—it’s a necessity. If you can’t create the content yourself, hire professional bloggers/marketers who understand your niche and know how to create well-researched content. Cheap writers might save you a few bucks, but the damage they can cause to your brand is often irreparable. In short, instead of creating content just for the sake of it, you should look to create high-value content that helps your readers take action and grows your stature as a subject matter expert. An overwhelming majority of businesses are guilty of this. Building an email list is one of the fundamentals of online marketing. You can’t build a community around your brand if you do not have a subscriber base. One of the core objectives of publishing great content is to convert readers into subscribers so that you can stay in touch with them and turn them into paying customers. 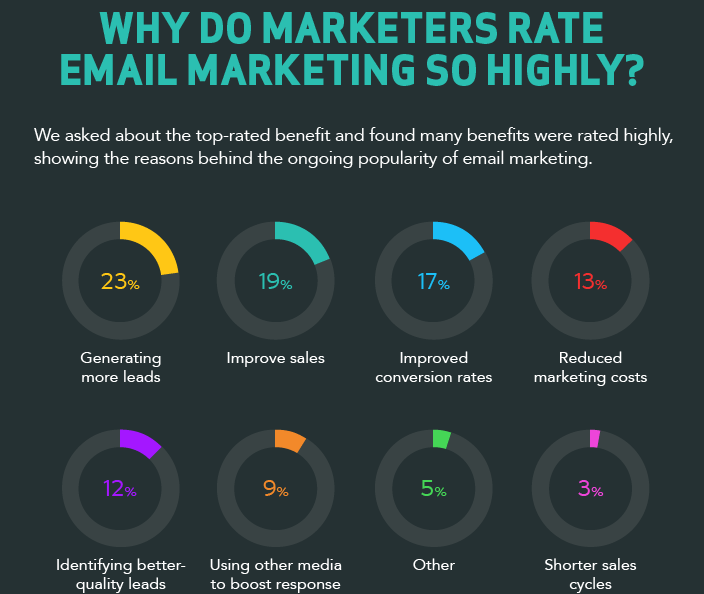 According to Smart Insights, generating more leads and improving sales are two of the strongest benefits of email marketing. So if you haven’t started building an email list yet, now’s the time. 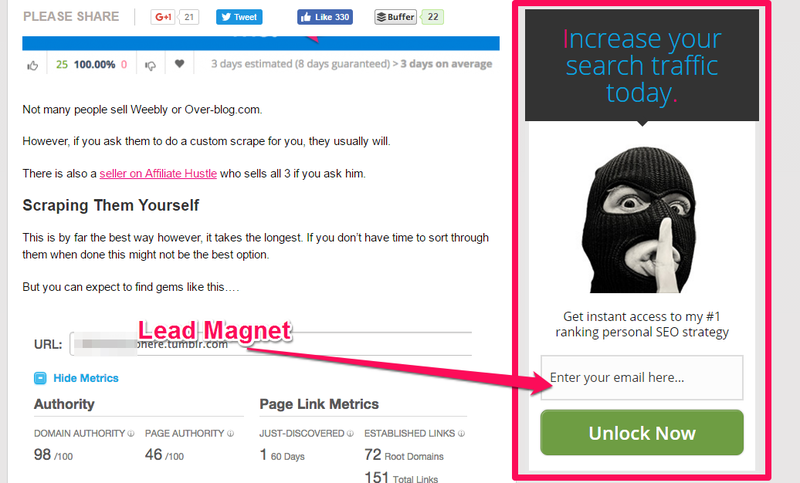 Create a lead magnet (a PDF eBook or a training video) that addresses the biggest concern of your audience. Set up an autoresponder sequence that triggers as soon as a subscriber joins your list. Keep your email list engaged by regularly interacting with them. Email marketing is a broad subject that needs to be covered in more detail. But the points I shared should give you a good starting point. Smart content marketers spend 20 percent of their time creating content and 80 percent promoting it to the right audience. Most businesses do the exact opposite. In fact, even when they promote content, they do it like spammers by frequently sharing the same social media updates and flooding the timelines of their users with self-glorifying posts full of spam hashtags. Content promotion is a sophisticated process that needs careful planning and execution. It involves multiple channels integrated in a broader marketing strategy, all leading to a single objective: generating more traffic to your content and turning that traffic into subscribers. Here are a few promotional techniques that work. 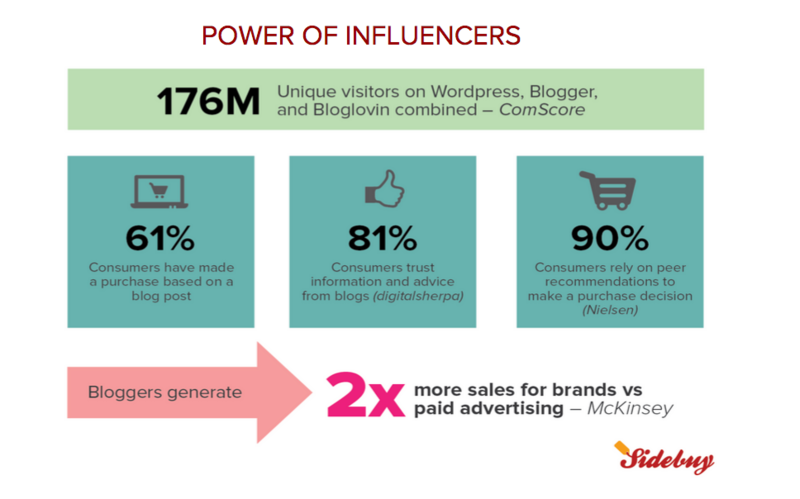 Smart marketers use guest blogging to expose their content to a broader audience and develop new relationships. Many of them write dozens of guest posts every month. If your blog doesn’t have any traffic, what’s the point of publishing your best content on it? A smarter approach is to create amazingly useful content and publish it on the already established blogs in your niche. This would strengthen your brand image as an expert, drive traffic to your blog and help you reach a much wider audience. If you’re not spending a considerable portion of your marketing budget on building relationships with influencers in your industry, you’re not taking advantage of one of the fastest-growing marketing techniques. An influencer is someone who’s an established authority in your niche and has a loyal following. By partnering with people like this, you can add credibility to your content and drive more traffic. More than likes and retweets, social media marketing is about building relationships with your readers. An engaged audience waits for your new content and willingly shares it with followers. If you’re not talking to your audience directly on social media, you’re missing out on the essence of social media marketing. There are several other more advanced content promotion strategies as well. But the idea behind all of them is to promote content in a legitimate way to the right audience (not spam them with unwanted messages). I’ve kept this one at the end for a reason. SEO is a polarizing subject. One segment of marketers can’t think of anything but SEO when talking about online marketing. The other shuns it as complete malpractice. SEO isn’t everything, but it’s still an important component of content marketing. Some of the most successful blogs and websites depend on search engines for more than 50 percent of their traffic. Take a look at the traffic distribution of ProBlogger and Copyblogger, two of the most popular websites in the blogging niche. If your content is not search engine optimized, how is your audience supposed to find you? The right approach is to create content that addresses the needs of your audience, and then optimize it for the right keywords so that your audience can find it. There are detailed guides available on the web to help you do that. But of course, hiring a professional to help you is always the safer option. By investing your resources in content marketing, you’re already ahead of your competitors. By avoiding the mistakes I’ve highlighted in this post, you can increase the effectiveness of your content marketing strategy and generate a much greater ROI on the time and money you spend. Are you making any of these mistakes right now? Just comment below and we’ll do our best to respond to your queries.